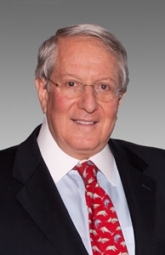 Thomas G. Kahn is President of Kahn Brothers Group, Inc. He graduated from Cornell University in 1964 and earned an MBA degree from New York University’s Graduate School of Business (since renamed the Stern School of Business) in 1967. He has over forty years experience in the investment field and is both a Chartered Financial Analyst and a member of the New York Society of Security Analysts. Mr. Kahn serves as a director of the JBI International, the Jewish Guild for the Blind and Provident New York Bancorp.